Looking for an Acura in Canada? 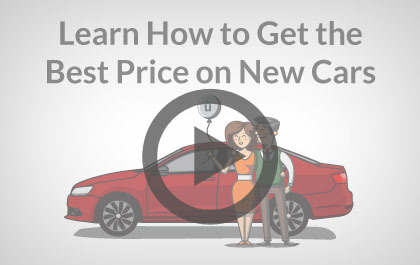 Acura was founded in 1986 as the luxury division of the Honda Motor Company. 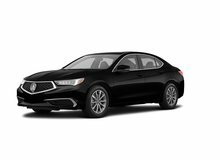 The Acura brand was introduced into Canada in on February 14, 1986 and made Honda the first Japanese motor vehicle brand with an upscale brand offering. Acura’s Active Damper System is a suspension technology which is designed to improve comfort and performance. It uses a fluid that reacts to an electro-magnetic charge. As the magnetic charge increases, the fluid thickens which results in a stiffer, sportier suspension. When the electro-magic charge is reduced, the fluid thins to deliver a smoother, more luxurious ride. Sensors are in place throughout the system which constantly monitors the driver’s input and road conditions and can adjust the dampers in as little as 5 milliseconds. Drivers may select between comfort mode and sport mode. Traditional all-wheel drive systems transfer power from the front to the rear of the vehicle. Acura’s Super Handling All-Wheel Drive can also transfer power between the rear wheels. When necessary, up to 100% of rear power can be transferred to the outside wheel. This helps push the vehicle through corners and result in improved all-weather performance and corning abilities over a traditional all-wheel drive system. The ACE Body Structure is designed to enhance the occupants’ protection in frontal collisions. The body structure to more evenly distribute energy from a crash throughout the front of the vehicle, which it then redirects around the cabin. This helps to more evenly disperse the force of a frontal impact transferred to the passenger compartment, as well as to other vehicles. Sensors monitor temperature and humidity levels and automatically adjust the temperature and humidity levels in the cabin to prevent window fogging from occurring. Additionally, occupants of the vehicle benefit from comfortable humidity levels. 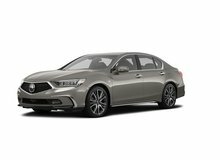 Unhaggle is not affiliated with or endorsed by Acura in any way nor does Unhaggle endorse any products, services, or websites that may be referred to in, or linked to, this site. All product names, trademarks, and trade names are the property of their respective owners.